I’m going to start off this post by strongly saying I love animals. Anyone that knows me personally knows for a fact that my animals eat before I do, and I have gone without so that they had what they needed. It’s not just a love of animals, but a sense of responsibility of doing the right thing, a work ethic of sorts, and being a good steward. Being a good steward is also having a sense of reality and the big picture. Now that I got that out of the way, let me also say that what I have to say is going to be hard to read for many of you, but it needs to be said — on a frequent basis. Some I’m sure will be filled with hate, but taking the emotion out of it, they’ll realize there’s at least some truth to what I’m saying. Horse slaughter, horse racing, and BLM Mustang round ups have been the topic of hot – or rather over emotional – talk here lately. I say “Talk” because it’s either bashed or supported but NO ONE on either side is even remotely offering some kind of realistic, workable solution. The only solution that’s ever mentioned is let them all live. We can’t feed and house the rescues that are out there now without donations from the general public. A few years back, I wrote two articles on my old blog, Musings From The Leadrope, that offered at least a potential partial solution to the horse slaughter issue. One point was for the Horse Rescues to start a registry so that a market for rescued horses could be broadened a bit. The reality is in order for a horse to be marketable and have a chance, they need to be usable for more than just a trail horse. The other post caused quite a stir as it suggested that maybe the Horse Rescues could run the slaughter process and profit from the sale of hoofs and hides from those horses that did indeed need to be humanely euthanized. 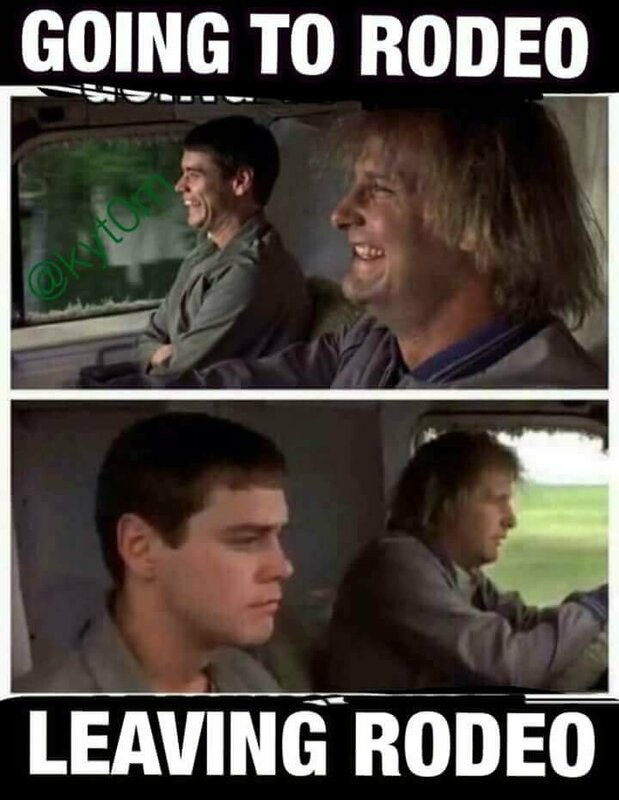 Go actually read the post before you judge! Rescues running horse slaughter? But slaughter is CRUEL! Like I said in my post on why I Support Rodeo, there’s examples of (truly) poor horsemanship in every aspect of the horse world. By the way, the examples listed above are not abuse. The problem is that the people that are hollering the loudest don’t have a sound argument at all — only emotion and drama. If they keep hogging the platform, they will get their way and we won’t have a horse industry left, and you won’t be able to put your horse in a stall or clip his whiskers. On a side note, I do believe they have made attempts to ban clipping whiskers in some countries in Europe. These over dramatic, emotional people that have the ear of the general public that generally don’t know any better, go around loudly bashing horse slaughter, BLM Round ups, Rodeo, and Horse Racing. Not that being a back yard horse owner is a problem, but for the majority of these passionate loud people the back yard is really the end of their experience. Their view is limited and they don’t even know it and they’re the voice that’s making the loudest noise. The voice of more experience is busy wading in mud feeding horses or cattle, or cleaning 50 stalls at a time. The other problem is that these loud passionate folks NEVER offer realistic workable solutions. Take the recent case of dog racing. These emotional people got dog racing banned but they were never responsible enough to also take care of where these thousands of dogs would go, or find jobs for the families displaced because of the ban. If they really loved dogs and were compassionate, they would have taken care of that as well – but they didn’t. Which is why we need more experienced, sensible people voicing their opinion, or this could happen again to the rodeo industry, the race horse industry, the show horse industry, and yes even the trail riding industry. No matter how much you love horses, you can’t change reality. There is no Hollywood ending where all horses have a home with some little girl in the back yard of their subdivision home. I’ll say it again — we can’t feed the rescues that are out there now that are not earning their keep. The reality is that it comes down to a choice of the lessors of evils – until someone can offer solutions that change human behavior, the way people train – or rather don’t, and can find a way to house and feed a lot of horses. Having horses race on the track is better than thousands of horses headed off to a slaughter house in Mexico to be cut up alive which is what would happen if racing were banned. Having horses rounded up by BLM or stallions gelded is better than them starving to death. By the way, have you ever tried to personally round up 50 head of truly wild horses? It’s not easy to separate out tame ones, let alone a few wild ones. As I said in the rodeo post, it’s better for a bucking horse to work for 8 seconds and have feed and vet care than to have them all headed for the slaughter pen, which is exactly where they would be headed because nobody needs a bucking horse on the trail. Remember I said it comes down to the lessor of the two evils? These are the lessor of the evils until someone can offer an optional solution like maybe the rescues being in charge of slaughter and being self supporting through that. Like it or not, if there is no horse industry, there is no need for horses and no reason to take on such a huge expense, or a way to support such a huge expense – most horses cost at least $100 a month minimum to feed. Multiply that against just the rescue horses out there, let alone all the others. That’s the reality of it. If any of these hot issues are going to progress and become better, the emotions need to be put aside and realistic solutions be put on the table. Honestly, there needs to be a new rule — don’t complain unless you offer an idea that’s realistic as a solution. As Chris Ledoux said, if you’re complaining without a solution, you’re whining. We need to hear more of the voice of sensible, experienced people like Bedlam Farm. Horse industry professionals such as trainers, grooms, ranchers, cattlemen all need to weigh in with their experience and common sense that was earned from hard knocks, not just being an arm chair protester. Folks like this are the think tank to get these issues fixed, but they’ve been so beat down and berated by the crazed activist that they’ve walked away from the table. With as many talented, smart, folks as we have in the industry, surely solutions could be found or at least improvements made if we all brainstormed. I have had some requests to do a series on plus size clothing for riders. 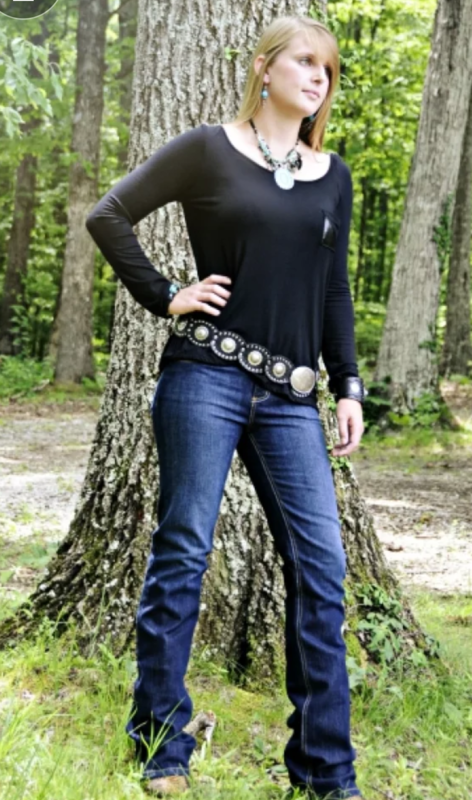 This time I talk with Mike Satterfield of Original Cowgirl Clothing brand. My name is Mike Satterfield I am the creative director for RBR Inc. and designer for Original Cowgirl® and M&P Speed Shop™ and have worked in design and marketing my entire life. We are based in Southern California, with a showroom in Denver, Colorado. How did the company get started & how long have you been in business? Original Cowgirl® as a brand grew out of my family history, the concept was based on my Great Grandmother, my Grandma, my mother and aunts. Our parent company RBR Inc. which stands for Red Barn Ranch was founded in 1985 by my mother, Kathy Satterfield, back then it was more focused on home décor. In the early 2000’s I introduced our first clothing items and they proved popular locally. The brand really took on its own in 2007 and we shifted our focus to wholesale, with an emphases on independent retailers. What is your company philosophy and goal for the company? Original Cowgirl® is not your average apparel company, nowadays; anyone can have a t-shirt or garment made, but unlike most brands, each Original Cowgirl® shirt is hand prepped, loaded, printed, finished, and tagged, by us, right here in Southern, California. Our design studio is in a 110 year old barn on the family ranch, that allows the creative process to be inspired by the surrounding ranches and farms. We draw from our heritage and strive to channel the history and passion that built the Ranch into each garment. What types of clothing do you carry? We are known for our graphic t-shirts and caps, but we also have a great line of accessories and jewelry. What are some of your favorite pieces, and why? That is hard because as the person to does the art each one tells a story and is based on a real person, place, or event. I think the road trip inspired graphics are some of my favorite since I am an avid traveler. Do you plus size clothes run smaller or larger? It will depend on the cut and style of course, but we try to keep everything true to size and on our retail site we have sizing charts. Some of our dolman cuts allow women to go up or down a size depend on the style they want. Our clearly listed size charts keep returns to a minimum. What new items are you looking at carrying? We come out with new prints and styles every month, so it’s always changing. But we expect to expand in to more outerwear and other garments down the road. What stores carry your brand? We have retailers all around the country including Lil Bees Bohemian, Camo and Lace in Wilburton OK, Maverick in Fort Worth Texas, and countless others around the country. 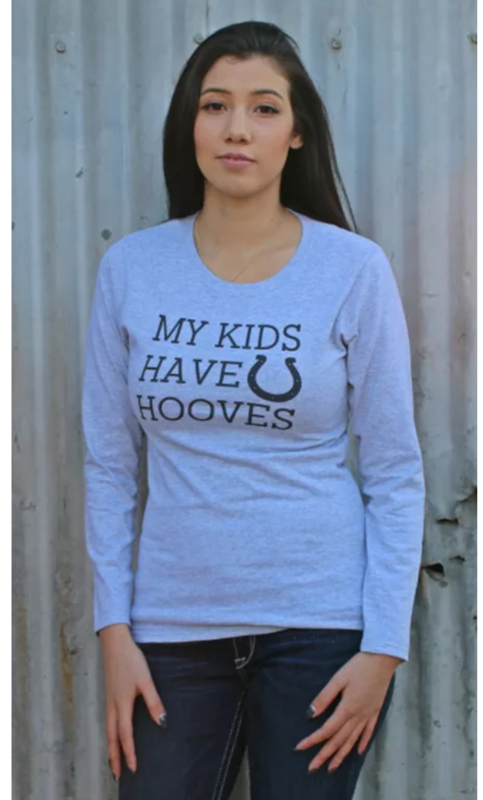 Of course you can always shop at OriginalCowgirlClothingCo.com. ​After a comment about abuse on a rodeo meme pic, I feel like I need to make a statement. I try not to post political crap on this page because that’s not what it’s about. This is a place for we as horse folks of all disciplines to come together and be encouraged and get a laugh every now and then, but I will take a stand on this. I support rodeo and I will always support rodeo. 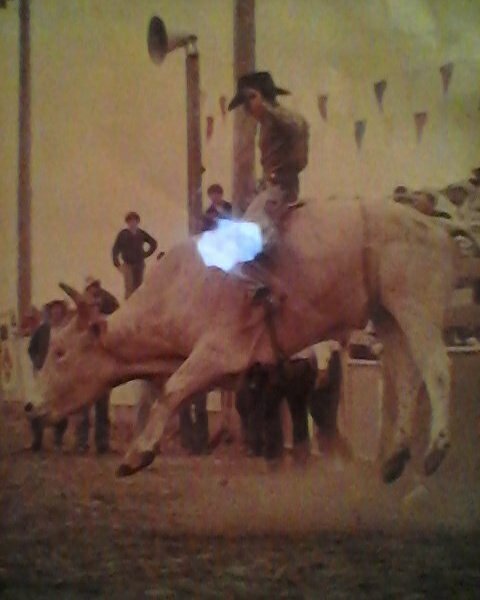 I personally have only barrel raced at NBHA jackpots and a couple of futurities, but I’ve never ran rodeo. It’s always been a dream of mine ever since I was a kid in the 70’s watching the Hesston commercials for the NFR, and one day I will rodeo, good Lord willing. I have lots of friends that rodeo, have been involved with rodeo ministry in years past, and the love of my life is an old bull rider. 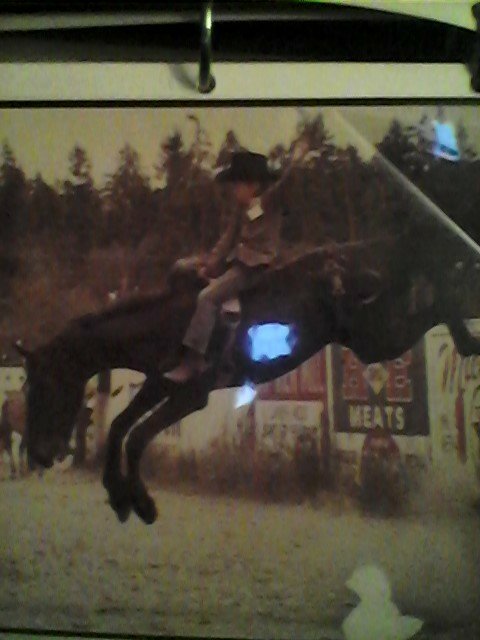 So my ties with rodeo come from the heart. Some folks might assume I’m this way because they think I’m just a barrel racer or that’s all I do. They are sadly mistaken. 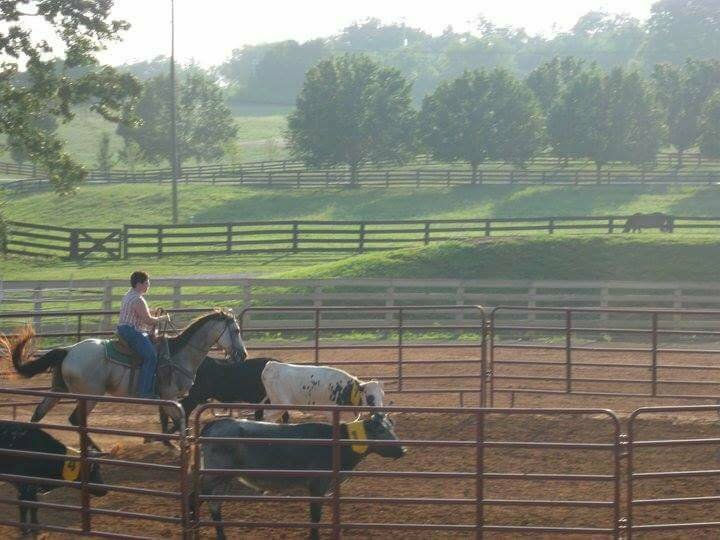 Yes, I love to barrel race but that’s not all I do or all I am. 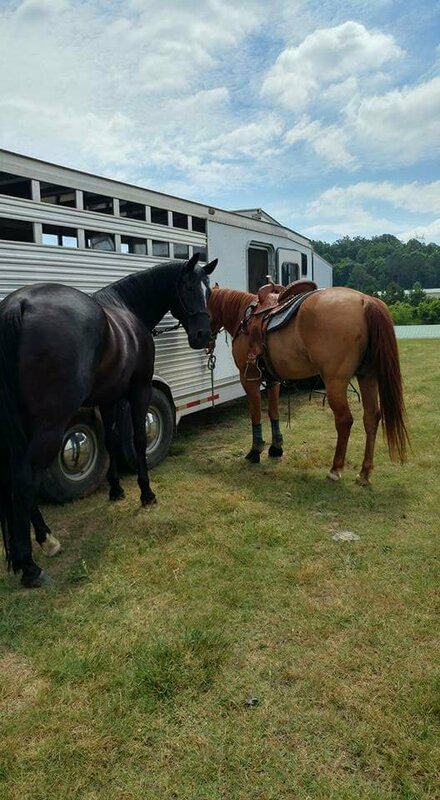 I’ve shown hunter, trail, western pleasure, judged hunter/jumpers and gaited horses, sorted cows, and even trained saddleseat, western pleasure and halter Arabs for a few years in my twenties. I’ve taken a stretch of lessons for eventing, and even had an event prospect off the race track. I’ve gone to ranch clinics and roped calves for doctoring, and I’ve broke more colts than I can count, a few older horses to boot. So I’ve got a pretty well rounded perspective when it comes to horsemanship and what is and isn’t abuse. I don’t support true abuse in any event or discipline – rodeo or otherwise. But when someone calls out rodeo and makes a blanket statement that it’s abusive but other disciplines get a pass, I have to stand up. There’s abuse that happens in ALL disciplines. Look at Rolkur in Dressage, or riding horses with broken legs in the Kings Cup Endurance Race, pushing horses past their ability in Eventing, or tying horses up for hours in Western Pleasure. If putting a flank strap that’s as tight as a rear cinch would be on a ranch saddle or a packing set up, on a horse is considered abuse, then those horse riding/showing folks calling it abuse might want to be aware of the fact that there’s a whole other world out there that adamantly states even riding a horse is abuse because horses had rather be out grazing and we’re making them carry us around. People say the mere act of trimming whiskers is abuse too, as well as using ANY type of bit. If that’s the definition of abuse, then a ton of us are abusing our horses! As someone else pointed out in a comment on the post, the folks that call the mere act of riding abuse are out to ban all aspects of riding, and instead of bashing each other’s disciplines it’s important that we come together and support one another. Oh, and while I’m at it, they don’t break horses in rodeos and the bucking straps on bulls are not around their testicles. And as far as spurs, I’ve seen far more reining, western pleasure, and gaited horses with bloody sides than I ever have bucking horses. In addition, if it weren’t for rodeo the bucking horses would be bound to a Mexico slaughter house because they like to buck and no one wants a horse they can’t stay on or that’s dangerous. I’d much rather a horse have two square meals a day, get vet care, and only have to work at most 16 SECONDS every weekend than to see them on a truck for 48 hours without food or water just to be cut up while they’re still alive at the end. Heck, my horses work a LOT harder than they do! Maybe not all the stock contractors or competitors are perfect when it comes to dealing with bulls and horses (I say get some first hand ranching experience and dealing with irate stock without pens and then you can judge.) But then not every rider that rides a dressage pattern, jumps a cross country course, or rides a class down the rail is either. There are poor horsemanship and stockmanship examples in every facet of the horse world but they aren’t the example of what it’s about, and the exact same applies to rodeo. Rodeo, the people involved, and all the things it stands for will always be near and dear to my heart. I love and appreciate all disciplines because in the end it’s about what a horse and a rider can do together.